This live web-based course introduces the foundational concepts of Measurement Traceability, Measurement Assurance and Measurement Uncertainty for forensic service providers. The training provides a detailed review of the ISO/IEC 17025 and ANAB accreditation requirements and terminology used for measurement traceability and uncertainty and how these requirements apply to a forensic laboratory. Additionally, participants will acquire an understanding of the interrelationships between measurement traceability, measurement assurance and measurement uncertainty, learn about uncertainty components to consider and how to determine if those components are of “importance” as well as learn a practical approach for estimating measurement uncertainty. Each session is 2 hours in length. This training is applicable for all staff in a forensic testing or calibration laboratory. Provide a detailed review of the ISO/IEC 17025 and ANAB requirements for Measurement Traceability and Measurement Uncertainty. Review terminology used in ISO/IEC 17025 as it relates to these topics. Demonstrate the interrelationships between measurement traceability, measurement assurance and measurement uncertainty. Provide a construct of a basic process for estimating measurement uncertainty. Discuss the importance of knowledge required for testimony in a court of law on these topics. Course Pre-requisites: The courses in the series must be taken in sequence. A student must complete Level 100A before they will be allowed to attend 100B and complete Level 100B before they will be allowed to attend Level 100C. Training Platform/Web Access: The training will be conducted using Fuze Meeting. You will not be required to download any software to access the Fuze Meeting interface, but you will need to have the current version of Adobe Flash Player loaded on your computer. Fuze provides multiple options for connection to the audio portion of the course – traditional phone line, speaker headphones or Skype. 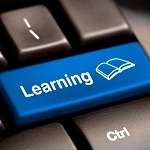 The internet link to each course will be provided to attendees 24 – 48 hours prior to the course. Attendees should provide an email that can receive hyperlinks and attachments.